This lesson will guide you through the use of PSAT/SAT data in Custom Reporting. There are a few steps that you will need to take in order to get started. Go to your the Admin Gear and select State/Known Data Imports to import your College Board files. You will need to do this for each PSAT 8/9, PSAT 10 and SAT data file you would like to use for reporting. 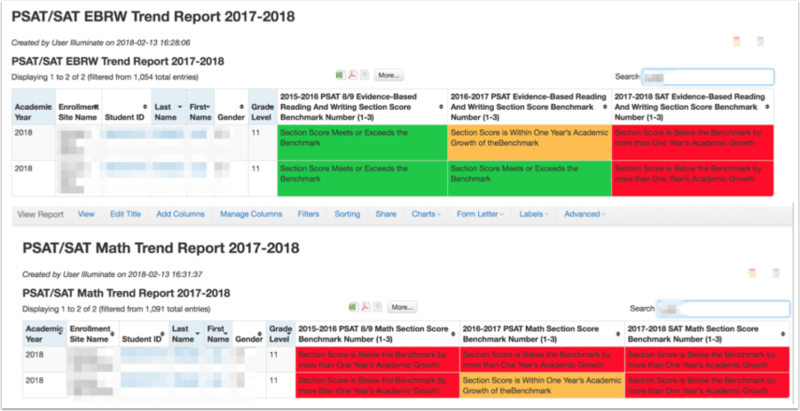 Select a report title that you want to add PSAT/SAT data to. 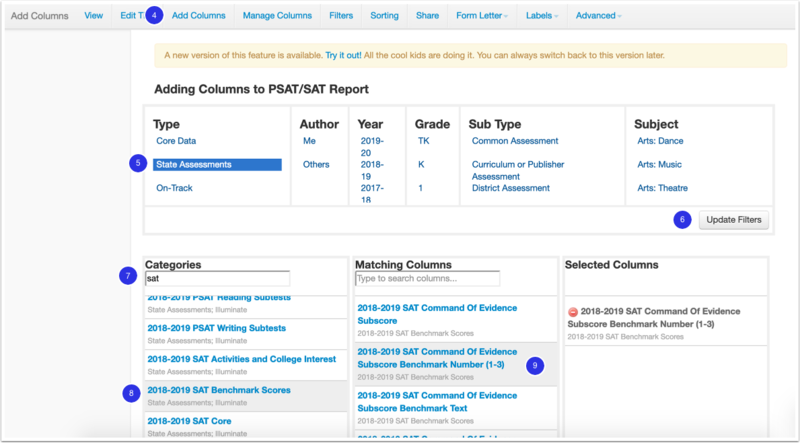 Optional - Type SAT into the Categories to narrow down results. Select the PSAT/SAT assessment you'd like to your report. Click the Matching Column you'd like to see in your report. When you're done choosing columns, click Add Columns to Custom Report. Once you have your bands created you can link them to columns via the Manage Columns page. After linking the Performance Bands, it will display on your report as shown above. Now that you know how to add PSAT/SAT data to a custom report, take a look at other Metadata Abstracts.